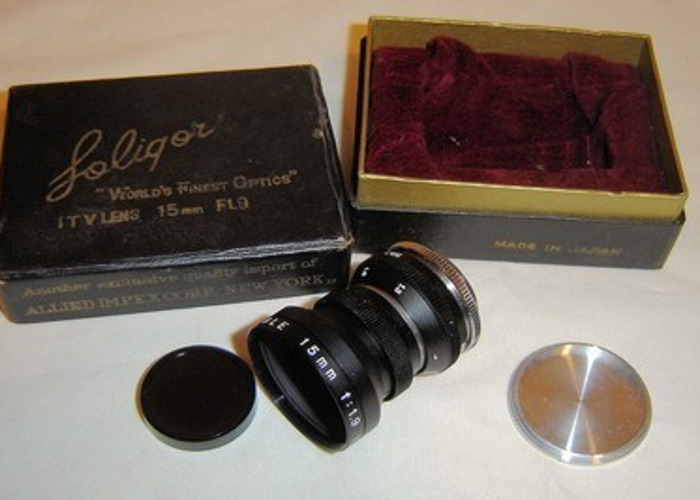 Soligor Wide Angle 15mm f:1.9 C mount TV or Cine lens Here's a Soligor 15mm f1.9 C mount TV or Cine lens. The optics are nice and clear with no scratches, fungus or fog. Aperture and focusing working correctly. Good mounting threads and filter threads.